I couldn’t resist having a look around Aldi and seeing what goodies they had out for Christmas time, and I ending up picking up a few luxury items. One item I picked up was caviar, I don’t think I’ve ever tried it before, but thought I’d give it a shot as the offer price just under £10. I also found up some luxury chocolates, german biscuits and this cheese flavoured with champagne, so not a usual grocery shop. 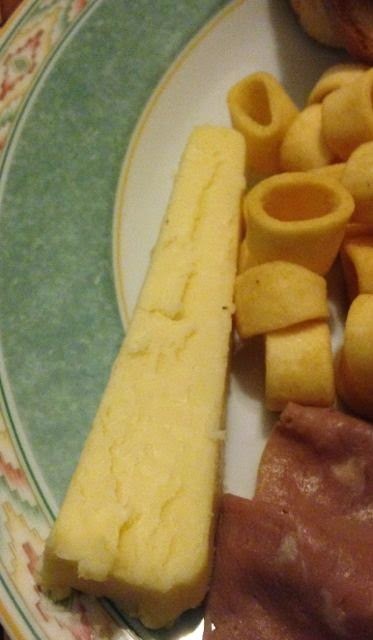 We decided to try out this cheese, with a selection of cold meats, some bread and some Hula Hoops, bringing us back down to earth. 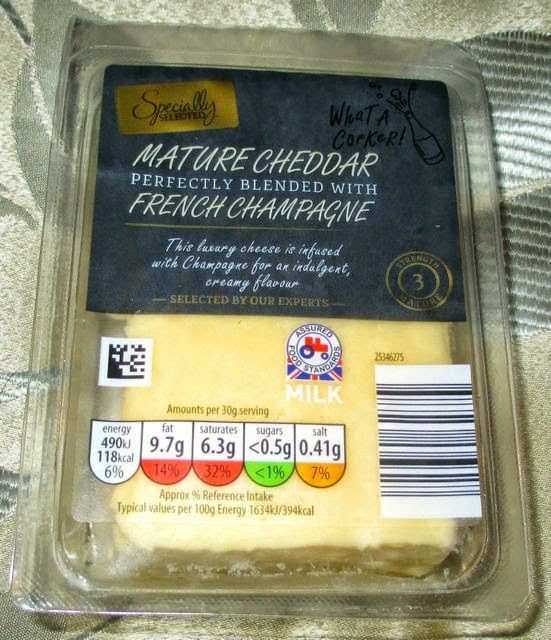 The cheese is a fairly strong cheddar, and the nuttiness of that flavour seemed to intermingle with the champagne really well. The champagne is fairly strong in taste, but it worked well with the tanginess of the cheese, giving it a soft creamy element. I have to admit I thought this cheese would be essentially a novelty, but they managed to balance the flavours very cleverly and made a lovely rich cheese. It is perfect for snacking on with a selection of meats and cheese biscuits, but it would also be perfect on a posh cheese board after dinner. It is a lovley combination of flavours, with enough champagne to enhance and become a talking point.